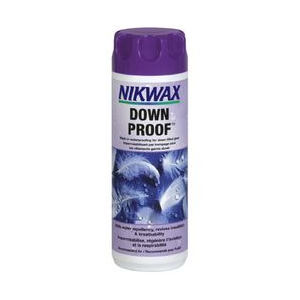 Visit Nikwax's Down Proof page. Increases the effectiveness of the insulation in damp conditions. Makes down less susceptible to humidity. 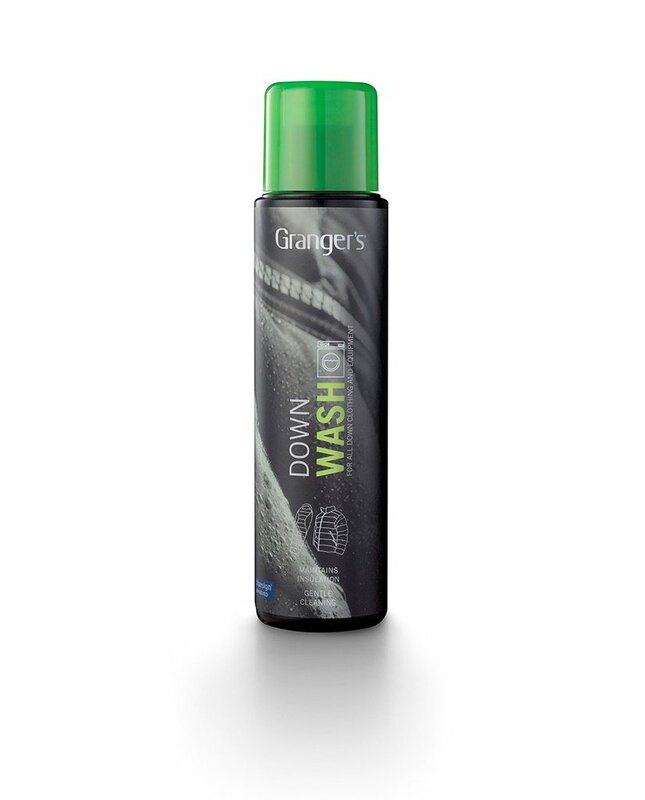 Wash-in treatment that reduces the water-absorbency of down and adds water-repellency to the outer shell. 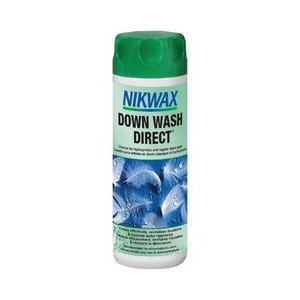 Nikwax Camp & Hike Downproof 10 Fl Oz dol10z. It adds durable water repellency; reducing weight gain maintaining the insulation and breathability of down filled items in cold and damp conditions. 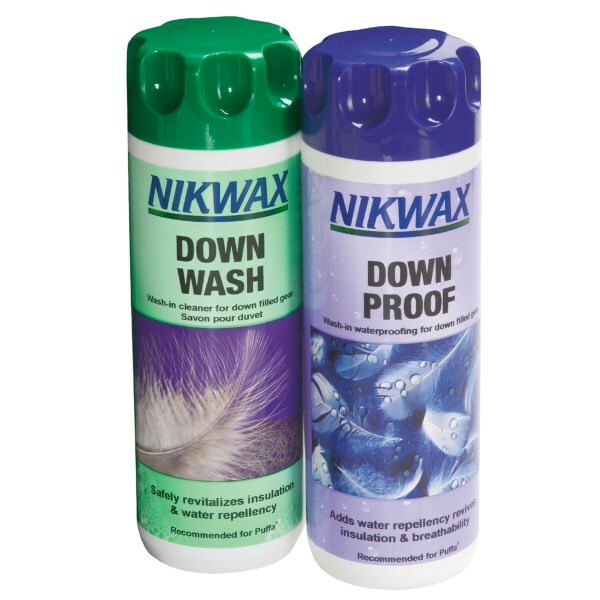 Nikwax Down Proof Wash-In treatment adds water repellency and revives the breathability of your down-filled clothing and gear. 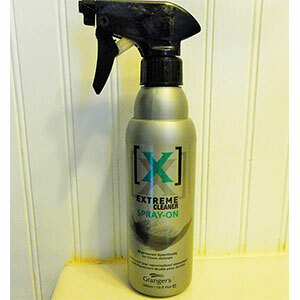 Unlike spray-on treatments, the wash-in application ensures the entire garment is coated for optimal performance Down Proof helps your down products maintain a high insulation power to keep you warm Safe for use on all feather and down garments and equipment Manufacturer recommends cleaning garment prior to treatment Use your washing machine for clothing items; for sleeping bags, wash by hand; be sure to dry clothing and sleeping bags thoroughly on high setting to set in treatment Water-based formula does not contain fluorocarbons.